The sight of filthy sewage flowing unrestricted into our rivers is not new. Our government spends humungous amount of public funds for treating sewage water before it is discharged into the rivers. However, the sad state of our rivers indicates that a lot is left to be desired. High maintenance cost is the main deterrent for people from having a sewage treatment plant installed in their industry or residential area. So, they completely depend on state managed and operated Sewage Treatment Plants (STPs), which often malfunction due to overload. While every large city in India has large-scale conventional STPs, they usually fall into disuse due to their high operating costs, equipment corrosion and lack of skilled operating personnel. If sewage is treated at each industry and residential colony, a major portion of the problem can be mitigated. Grey water – wastewater generated from kitchens, laundry, bathrooms, etc. Both grey water and black water can be suitably treated by root zone wastewater treatment and reused for non-potable applications such as toilet flushing and kitchen gardening. Among the many types of STPs, Root Zone Wastewater Treatment (RZWT) is the most innovative and eco-friendly system. The Root Zone Waste Water Treatment system is a low cost, virtually zero energy and maintenance-free plant. What’s more, it is pretty good looking too!!! Root Zone Waste Water Spot the STP here! What exactly is Root Zone Wastewater Treatment? ‘Root Zone’ is a scientific term used to cover all the biological activity among different types of microbes, the roots of plants, water soil and the sun. It consists planted filter-beds containing gravel, sand and soil. The RZWT system utilises nature’s way of biologically processing domestic & industrial effluents. This effective technology called Decentralised Wastewater Systems (DEWATS) was developed in 1970s in Germany and has been successfully implemented in different countries mainly in Europe and America. The root zone waste water treatment system makes use of biological and physical-treatment processes to remove pollutants from wastewater. Due to its natural process, there is no need to add any input such as chemicals, mechanical pumps or external energy. This reduces both the maintenance and energy costs. First treatment takes place in a Anaerobic Baffled Reactor – a device with several identical chambers through which the effluent moves from top to bottom. Second treatment happens in an Anaerobic Filter – a device filled with a filter material (cinder), through which the effluent moves from top to bottom. Third treatment takes place in a Planted Gravel Filter – a structure filled with gravel material and planted with water-resistant reed plants, which provide oxygen to the passing effluent. The Root Zone Waste Water Treatment system takes into account the natural slope of the ground, so that water flows from one device to another without any external energy input such as motor pump. Once the reed plants create an established stand, usually after the first growing season, the reed bed requires little or no maintenance. The plant foliage will soon blend naturally into the landscape, ever changing with the seasons and creating a pleasing sight as well! In India, this project was first executed by Bremen Overseas Research and Development Association (BORDA) in the Auroville global community. Since the last 15 years, Auroville located in South India near Pondicherry has been experimenting with such natural wastewater recycling systems. 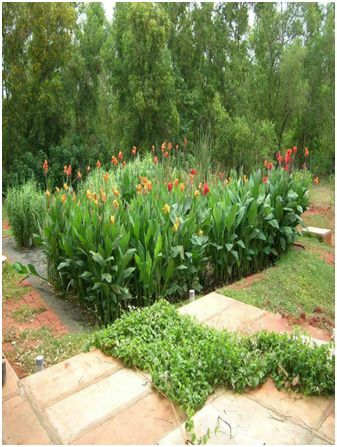 Auroville has now become a pioneer in the Root Zone Wastewater Treatment System and has enabled many such plants across India. Another such treatment plant has now been implemented in Aravind Eye Hospital, Pondicherry by Ascenso Management & Consulting Services. I am a consultant promoting eco friendly treatment options for waste water in south india more specifically in Tamil Nadu. Kindly let me know how we can work together to save environment. Hi, i am vinod patil from Maharashtra i have working last five year in wastewater treatment and i am interested for your treatment process .please can we work together in our region.inform me . Please send us your requirement on our email id [email protected]. Hi. This is a very good article and I find it a brilliant idea. But sadly, that’s all it is sir. An idea. We hear about it happening in auroville but I want to start it in my own property. And encourage others to do the same. But how do I know where to get the equipment from? What specifics like size etc… to use when designing it? which plants exactly. Some more specific details would indeed be very helpful and practical to make this planet a lot greener. There are many of us who want to be green but don’t know how. Thank you very much for your interest in rootzone treatment. it is a very simple technique to implement without much equipment. please mail us your contacts at [email protected] so that we can put you across to our expert. We run a residential school with 400 students. Hitherto, both grey water and black water was being sent to septic tank. We are now separating grey water allowing it to flow into the lake adjoining our premises. We are planning to set up a system to treat grey water before it enters lake. Hence, we request assistance to deploy root zone treatment. Can you help us? Please share the details on our email id [email protected],so that we can take it further. Thanks Shweta, we are glad that our effort is helping students like you, All the best. I am student of civil engineering from university of pune. Currently in final year, My area of interest is water purification and disposal of sewage .I am working on RZTS as project point of view. I studied whole RZTS technology. And interested in using plants or species surviving in low sunlight for RZT indoor system. So kindly tell me list of plants which can be used for indoor RZTS . 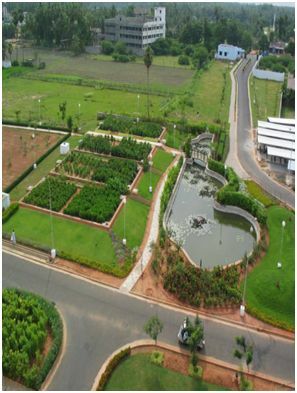 RZTS uses natural slope for flow of water, hence mostly we have made such systems outdoor. At present, we have not installed any indoor RZTS, but surely its an interesting idea. I would try to get some information on the types of indoor plants for such project and update you. Great blog. It has explained a lot regarding the aspects of water treatment solutions. Thanks a lot and thanks for explaining the things regarding the different kind of waste water solutions. can this method be used in case of apartment complexes? can common areas/ recreational areas be used? What about treating waste water generated from an automobile service station using RZTS? The available option of electrocoagulation etc is not affordable for these small unit holders. So it will be highly useful for this section so that they can recycle and reuse a part water. I imagine a plant setup with a series of sintex tanks. Kindly advice. How many ponds is usually required for this process? And, how big the ponds should be? What is the potential of implementing your system in the Arizona desert for a home that would be seasonally habitated. I presume the plants would die due to lack of water. So then would they come back once use of the system resumes? Curious what options I would have using this system, I do want to be self sustained and eco-friendly. I m working in environment field last 15 year in chemical units. I want to know for this system, what is limit of TDS of Effluent. Can we implement this in Dye Unit ? Do reduce TDS ? my current TDS after effluent treatment is 10,000 to 12,000. Please advise me to further reduce it. And also I want to know that can we work with high TDS effluent of around 40,000 TDS. An accommodation premises generating effluent of around 3000 kld on daily basis, Then how much area required to built this root zone sewage treatment plant. 1. Really impressed with your RZTP. I think it is same/similar to DEWATS. 2. What is the potential of implementing your system in the farm house near Hosur, Tamilnadu. The area required, cost of construction (2000sq ft house with about 4-6 people living). 3. I do want the house to be self sustained and eco-friendly in treatment of both grey & black water. 4. The lead time before the treatment plant gets operational ? 5. How can it be ensured that rain water ingress & black flow is avoided from the plant bed, which is open. I am a low cost housing consultant implementing Auroville technologies in my projects.waste water treatment is also a part of my activity. I am creating awareness among voluntary agencies in the above topic. I will come to you when in need. I am an consultant for plumbing services, is this system is compatible for treating kitchen waste water as well as sewage water? My project is centralised kitchen with a small toilet block. Per day there is discharge of 20,000 ltr of waste water from kitchen out of which 10% is of black water. What is the maximum area you require for construction of tanks and the root beds? How many people can these plants sustain. And how much waste? 2. We plan to treat the sullage using plants and recycle this stream to our flush tanks, thereafter going intot the black water stream. 3. We do not expect to have much oil in our system, since we consume vegetarian, non-pfat food in the place. 4. We have a 3000+sqft house on a 2400 sqft plot and are leeaving the open space that we have for sullage treatment and sewage treatment using as many passive processes as possible. 5. The usable open space is probably 500+sqft. 6. I have a civil contractor on site, as well as plumbing & electrical contractors available, doing work now at site. Could you provide me consultancy/advise, or help with implementation in any way. Should I travel to your location for the discussions, to get it started? Hello please for a project of a 3star hotel and resort what specification and what ways will you apply this? Just a gentle reminder. Still awaiting mail from you. In a little bit of a hurry to finalize the house and the systems prior to commencement of construction. Would be grateful if you could reply at the earliest. In root zone treatment system what type of plant we can use? can we do this method in coastal areas. Actually the sewage from nearby hospital is allowed to enter into sea and the toxic sewage is creating a huge problem at present in my locality near Kozhikode beach,kerala. I hope this method is most suitable. Particularly we want to know about the approximate cost of installing this system. Please do reply it’s very urgent. Really this is one amazing technique and I am an Architecture student and I wish to include this treatment in my Thesis , My topic is a “CONSERVATION AND RESEARCH CENTER FOR BIRDS” ,the SITE is situated near MANGROVES along the thane creek in Navi Mumbai ,my only question to you is then I can implement this treatment for my Center?? No issues if it is adjacent Mangroves?? Thanks for your heartwarming compliments. actually this is a wetland water treatment idea, so it should work with mangroves as well. in fact mangroves themselves are water absorbing trees so they will surely compliment. Okay thanks for responding , how should I calculate how much area will be needed for this treatment? And what are the tank sizes needed?